Traffic fatalities are on the rise in the United States and New Hampshire is at the top of the list when it comes to the largest increase in accidents involving deaths within the past two years. The latest report by the National Safety Council shows that fatalities are continuing to rise with an increase of 9% within the first six months of this year when compared to the same time frame last year. New Hampshire actually ranked 3rd among the states with the highest increase in driving fatalities. For drivers this Labor Day, it is important to learn how to stay safe. Holidays can be the worst time to be on the road as fatalities are more likely to occur due to negligent behavior. Travel has picked up as well as the economy which has led to more vehicles on the roadways, which then leads to more accidents. The best way to avoid an accident is to avoid the roadways. If you must travel, be aware of your surroundings. Avoid traveling late at night as many individuals like to drink then drive, which makes the roadways extremely dangerous. Check points are always posted during the Labor Day weekend so police can hopefully catch those who have had a bit too much to drink but everyone is not always caught. Try to get your traveling done during the day or before the weekend so you can relax at home and not have to worry about driving. If you need to travel for any reason during the Labor Day Weekend, try to take less traveled roads. Stick to neighborhoods and back roads instead of the major highways. The speed limit is much faster on the major highways which can lead to traffic accidents. Limit your high speed travel to avoid an accident. If you find that you are involved in a motor vehicle accident on the roadways during Labor Day Weekend, be sure to get off the highway. Get on the shoulder and contact police right away for assistance. You want to put yourself and any family or friends a safe distance from the busy roadways. 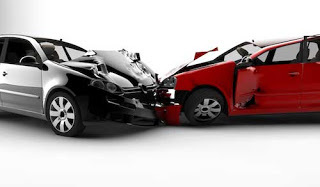 If there is damage to your vehicle or someone is seriously injured, working with an attorney is a must. If injured, when physically possible, contact a trusted New Hampshire personal injury attorney who can help you with your individual case.